Just like the old song asks, “What are you doing New Year’s Eve?” and we want to know the same. Our bet is on the ZACH Theatre concert that will rock the house with the Family Stone classic rock group on December 31. 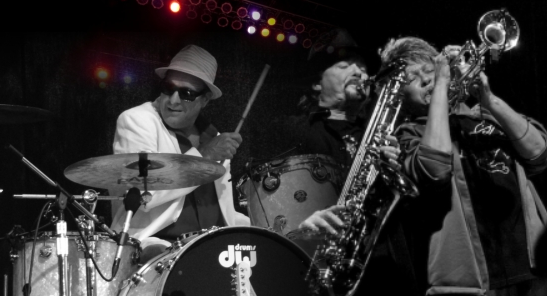 The legendary Woodstock soul band and Rock ‘n Roll Hall of Fame members will dazzle the region with their blend of funk. It will featureJerry Martini, saxophone, Cynthia Robinson, trumpet, Greg Errico, drums, Blaise Sison, bass guitar, Nate Wingfield, lead guitar, Trina Johnson Finn, vocals and Alex Davis, lead vocals and keys. We learned that the group will not only perform some of their funkiest hits of all tim, but will also play not one, but two unforgettable New Years Eve live concerts in ZACH’s new Topfer Theatre. The Family Stone will play classic hits from Sly & The Family Stone including "I Want to Take You Higher," Everyday People," "Thank You Falettinme Be Mice Elf Agin," "Dance To The Music," "Hot Fun In The Summertime," "Family Affair," "Sing a Simple Song," and more. Rumor has it that this will be the best New Year's Eve party in Austin. "Their energetic performance galvanized a large, enthusiastic, multi-ethnic and inter-generational audience of 'Everyday People' that truly embodied the group's inclusive philosophy!" said Bill Bragin at Lincoln Center, so buckle up. There will be two performances: 7:30 p.m. and 10 p.m. (Tickets to the 10 p.m. show include a champagne New Year’s toast).